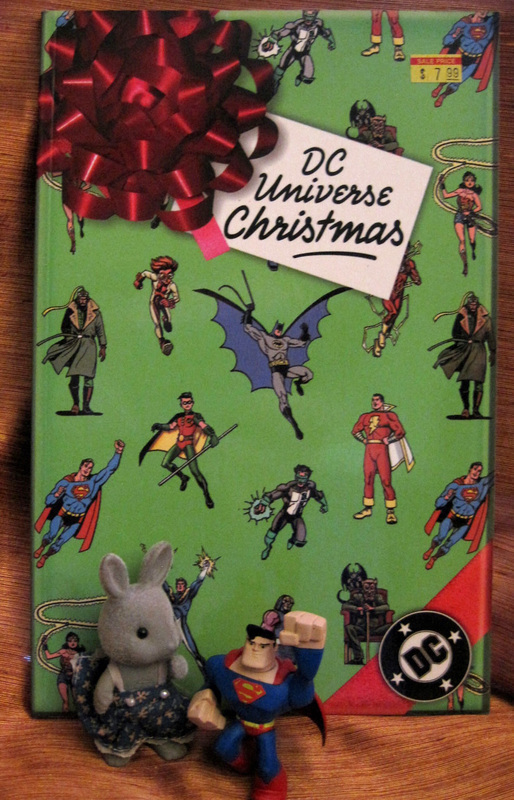 Premise: A collection of holiday-themed stories from across the first six decades of DC comics. Talk about hits and misses! This is a really interesting read, but it’s not always interesting because it’s good. There is a huge array of styles and quality here. It starts really strong, with a Denny O’Neil Batman tale from 1980 about an ex-con turned mall Santa, and a cute piece from the 90's about Flash (Wally West) shopping for a present for his girlfriend. Then we get a Wonder Woman story from 1943. There’s some historical interest here, but mostly it’s all kinds of horrible. Soon after it is a Teen Titans tale from 1968 with a hokey plot-line and a lot of ‘groovy jive-talking’. There’s a Robin story which is corny, but cute, a Legion of Superheroes bit that’s wild and kinda wonderful. I was really intrigued by a Green Lantern/Green Arrow team-up that’s Kyle and Connor. I don’t know that I’ve read anything with Connor Hawke before, and I liked him. There are a bunch of short pieces, some well done, some baffling. There’s an old Joe Simon & Jack Kirby Sandman bit that’s terribly dated. The last two stories end on a high note, too. There’s a 1999 story about Bart Allen (Impulse) and his doubts about Santa, and a 1940 story about Superman and Lois preventing some mustache-twirling villains from preventing Santa’s flight. I mean, Lois mostly “helps” by getting captured and tied to things, like oversized rockets, but it’s pretty amusing. I’m not sure whether or not I recommend this volume, though. There aren’t any parts that are just amazing, except maybe one or two of the really short two-page stories. I enjoyed reading it, but you have to have a healthy knowledge of and interest in the history of comics to get through some of the older pieces.